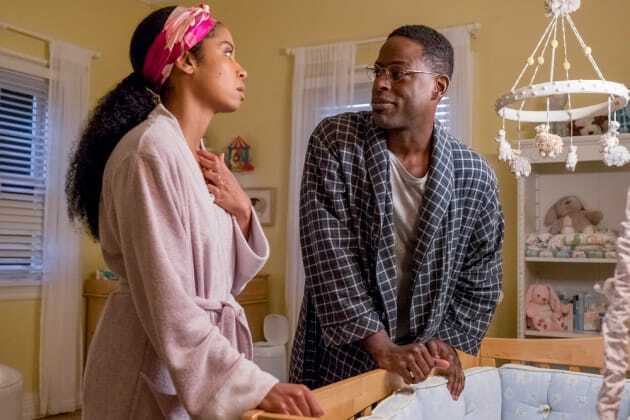 Beth and Randall take a look back at their relationship on This Is Us. "R & B" is the 17th episode of the show's third season. This Is Us Season 3 Episode 17: "R & B"
Randall: You're an architecture major. I thought you might want to study dance. Beth: No. What made you think that? Randall: I asked around about you. Beth: Well you got some bad intel. I used to dance, but not anymore. Randall: Never? Like if someone put on some Miseducation of Lauryn Hill, you wouldn't cut a rug? Beth: First of all, you don't dance to Lauryn Hill, you groove, and secondly who says cut a rug? Randall: A lot of people say cut a rug. 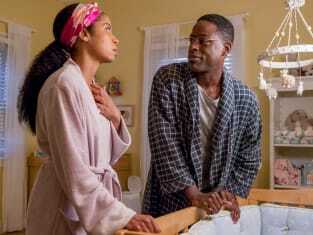 Randall: Well, I was raised by white people. Permalink: Well, I was raised by white people. Randall: Beth, love of my life, will you marry me? Beth: I need to work, and you need to stop proposing. Randall: So, is that a yes? Beth: It's a not yet! Randall: Well, at least we're getting closer. When I proposed on the jumbotron at the Pirates game you said hell no, so not yet is a step in the right direction.